1. 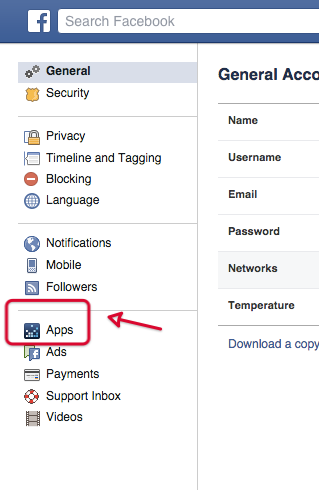 Go to your Facebook page and click on the little upside down triangle shown below to open your menu. 2. 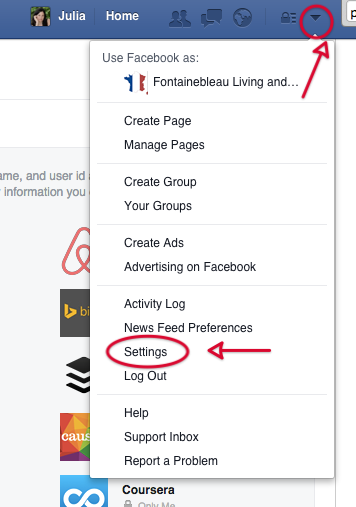 Select Settings, shown in menu below. 3. Choose Apps on the left main menu, shown below. 4. In the search field (top right), type in paper.li to find the app or look for it in your list of apps. 5. 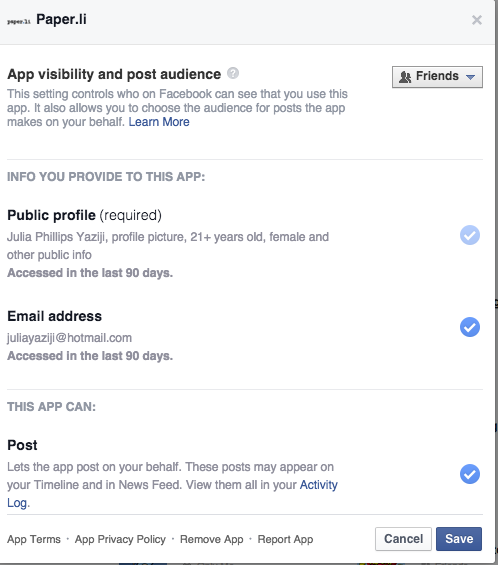 Finally.... click the option where it says App visibility and post audience. You can then change to public, friends of friends, or just friends.